THURSDAY MAY 17 2018 was the 75th anniversary of a major event in World War Two which had very significant Helensburgh connections. It was entirely appropriate that one of the people who went to the cinema was retired Merseyside newspaper editor Robin Bird, author of two books about the Rhu-based Marine Aircraft Experimental Establishment which was closely involved in the preparations for the raid. Robin said: “RAF Helensburgh played an important ‘backroom’ role in both the bursting of the dams 75 years ago and ways of sinking of the German battleship Tirpitz. 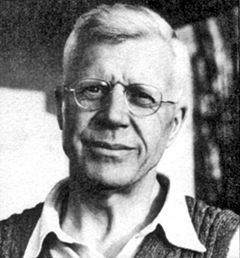 Barnes Wallis bombs destroyed both targets. “His bouncing bomb Upkeep was used in the Ruhr dams attack. The heavy bomb Tallboy was dropped on Tirpitz which had been lurking in a Norwegian fjord. In fact there had been a race on regarding which target was to be chosen first. “MAEE based at RAF Helensburgh was given the task of testing Upkeep and the smaller Barnes Wallis bouncing bomb called Highball. Both bouncing bomb types were given a D- for delivery date when they should be ready for action, May 26 1943. Two squadrons were formed using specially trained aircrew in modified aircraft — 617 Lancaster Squadron would drop Upkeep on the dams, 618 Mosquito Squadron was to attack Tirpitz with Highball. The MAEE trials were conducted on Loch Striven using Wellington and Mosquito bombers. The old French battleship Courbet was towed into position at Loch Striven to stand in for Tirpitz. She was anchored near hills, a similar target to the Tirpitz in the fjord. Wing Commander Guy Gibson. who later successfully led the Dambusters, took part in the first trials of Highball organised by RAF Helensburgh. The dummy bombs were referred to as stores for secrecy. Gibson flew a Mosquito from RAF Helensburgh’s airfield at Prestwick to Loch Striven to show other test pilots how it could and should be done. It involved diving from 10,000 feet to just 50 feet sea level, maintaining a speed of around 400 mph, and releasing the sphere. He then went into a steep climb to avoid the hills. Barnes Wallis (left) travelled from Helensburgh to Loch Striven to watch. He was flown to the loch in a Sunderland flying boat. Robin’s father, MAEE photographer Bob Bird, was one of the official photographers of the Highball trials. His 35 mm cine film was taken daily under guard to the MAEE headquarters at Rosslea, Rhu. Upkeep was tested at various locations, including Reculver, near Herne Bay, using a Wellington bomber. Because the Highball trials at Loch Striven had suffered setbacks there were arguments between air and naval staffs which attack should go ahead first. Upkeep or Highball? In the end the Chief of Staffs ruled in favour of 617 Squadron and Upkeep so as to catch the Spring tides. 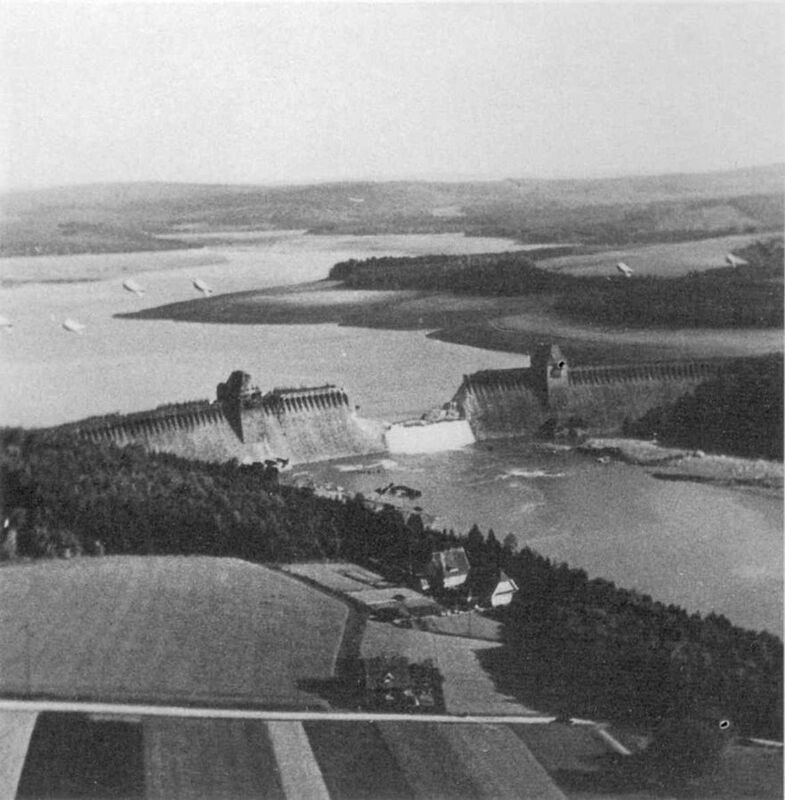 The raid on the Ruhr River dams was on Tuesday May 17 1943. The supposedly impenetrable dams were breached, and millions of tons of water flooded the vital industrial area. It made national headlines in Britain the following morning. The Dambuster raid had an unfortunate spin off regarding the trials of Highball. The Chiefs of Staff were concerned about the loss of life and aircraft suffered by 617 Squadron, and they feared 618 Mosquito Squadron would suffer similar heavy casualties in an attack on Tirpitz. So it never went ahead. Highball trials conducted by the MAEE continued on Loch Striven after Courbet was towed away to be a block ship on D-Day, and was replaced by HMS Malaya, a fully commissioned battleship. 617 Squadron was used to sink the Tirpitz with Tall Boys bombs. Highballs now perfected were going to be used to attacks submarine pens, vessels and trains. Then an even more ambitious plan was mooted in 1944 for 618 Squadron to attack the Japanese fleet. Rehearsals involved a Highball equipped Mosquito taking off from an aircraft carrier. This was ably demonstrated by the well-known test pilot Lieutenant Commander E.M.Brown, who at the end of the war tested captured German seaplanes for MAEE. The Highball attack on the Japanese fleet in the Far East never happened. It had been largely destroyed in naval battles with the Americans, and as a result 618 Squadron was disbanded. Highball was never used in anger. Upkeep is remembered for the dams raid. Highball, which had more potential, tends to be forgotten about, and likewise the disbanded 618 Squadron. A powerful new explosive simply called RDX was used in Upkeep, Highball, Tallboy and Grand Slam bombs. Initially supplies came from the factory in Canada. The first batch was flown across the Atlantic to Prestwick. On landing the Canadian aircrew admitted they had feared an airborne explosion because of the volatile nature of RDX. Senior armament officer Dennis Tanner, based at RAF Helensburgh, was involved in testing DRX. “This was probably the most important trial in which I took part,” said Dennis in a never before published account of the RDX trial. A remote house somewhere in Scotland was obtained. The local police with RAF men supervised the area. An invited audience from London made up from all three services attended at a safe distance. A 100 lb standard bomb was filled with RDX. Dennis placed the bomb at the house and retired to detonate it. He blew a whistle and pushed down the plunger. “Immediately there was an almighty bang, with windows and rubble blown into the sky. When the dust settled only a few sections of wall were left standing!” he recalled. In the film shown last Thursday and on Film on 4 on Sunday, there are period shots of the Wellington dropping a bouncing bomb, and later sequences of the bomb bouncing on water — taken from the cine footage filmed at Loch Striven in 1943. The Wellington was serial number BJ895G. G stood for Guard at all times. On one occasion Barnes Wallis acted as its bomb aimer. Robin says that BJ895 was a real star of the Dam Busters film. During the bouncing trials BJ895 was transferred to RAF Helensburgh to take part in the Highball trials conducted by MAEE on Loch Striven. 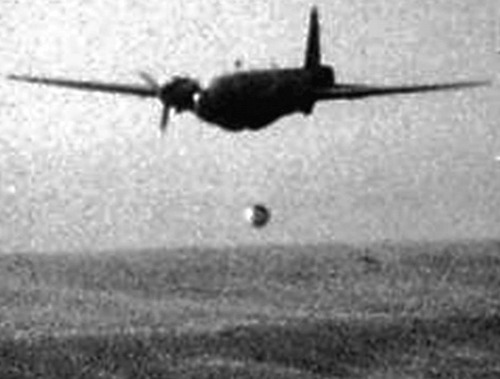 BJ895 was also used to bounce the bombs over the nets protecting the battleship Courbet. On landing at Port Ellen when piloted by Flight Lieutenant Carswell, the senior MAEE test pilot MAEE, it hit a fence and was damaged, but was repaired by Vickers. With sufficient Mosquitos available for Highball trials the Wellington — still on the books of MAEE — probably had its bouncing bomb gear removed and the G suffix removed. Later in the war the Chester-built BJ895G reverted to being a trials aircraft for RAF Helensburgh, then was passed on to an RAF training unit. At the end of the war BJ895 passed to No.48 Maintenance Unit Hawarden and then to the central gunnery unit where it crashed. Carswell died when Wellington NA929 crashed during MAEE trials on October 17 1945. He could have been flying BJ895 if it had been fully serviceable. BJ895 crashed near Scarborough in July 1946, killing all those aboard, after going into a sudden vertical dive. Past modifications and repairs to the structure were suspected as contributing to the crash. “It was a sad end for an aircraft that featured in one of the greatest British war movies of all time,” said Robin.